This 34 minute documentary tells a story about the many ways stories are told: in song and the singers, in clay and the hands that mold it, and in the landscapes that create us. 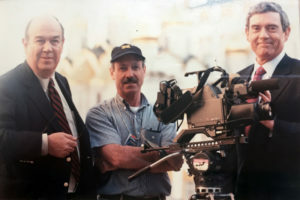 Filmed, directed and produced by Emmy Award-winning and 5 time Emmy nominee CBS cameraman Isadore Bleckman, Risking Everything is a story with many voices: those of Canadian ancestors who dreamed of freedom, of descendants and townspeople in the United States who remember the role their town played, in the words and hands of a sculptor, and in the voices of a renowned choir of young African Americans who carry forward the hopes of our ancestors. It’s a story that continues to be told every day. 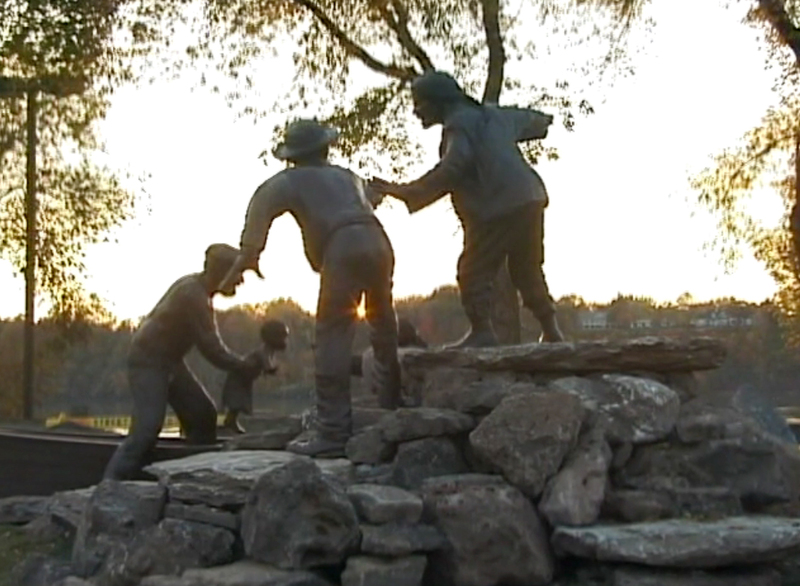 The film also follows the making and installation of the Freedom Crossing Monument in Lewiston, New York. Since Izzy’s retirement from CBS News in 2002, he has continued to work in film. He produced a film on photographer Milton Rogovin, and filmed the last of Buffalo’s grain scoopers, and served as editing consultant on the documentary “Luminous Shadows: The Artists of Eastern Cuba.” He was also a consultant on Acorn Media’s release of the “On the Road” DVD collection, and has given numerous audio-visual presentations in the Buffalo NY area where he lives with his wife, researcher and writer Mary Roseberry. Mary and Izzy’s daughter, editor Sheera Bleckman, began research and filming on the current project in 2009 when they first learned that a monument was being created in nearby Lewiston, NY to honor those who actively resisted the violence of slavery along that stretch of the Canadian border. For more information or to schedule a viewing, please contact Mary Roseberry. In memory of our sister, Judith Kohl, who knew there was a story here. Copyright © 2019 Laframboise Productions. All Rights Reserved.